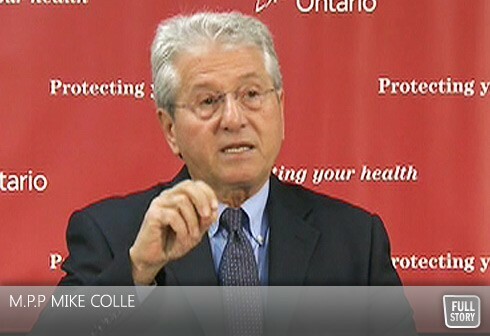 By Daniel Horowitz--On Wednesday, November 30, 2011, M.P.P Mike Colle, Eglinton-Lawrence, introduced a Private Member’s Bill in the Ontario Legislature titled An Act to Proclaim the Month of May Jewish Heritage Month, which was co-sponsored by Peter Shurman of the Progressive Conservative Party and Cheri DiNovo of the NDP. This Bill, the Jewish Heritage Month Act, 2011, offers all Ontarians an opportunity to recognize the important contributions that Jewish Canadians have made to Ontario’s social, economic, political and cultural fabric. Jewish Heritage Month is an opportunity to remember, celebrate and educate future generations about the inspirational role that Jewish Canadians have played, and continue to play, in communities across Ontario. “This bill would create an opportunity for Ontarians of all backgrounds to share and celebrate the long and vibrant history of the Jewish community in Ontario.” says M.P.P. Colle. May was chosen because it is a significant month for the Jewish Canadian community. Various Jewish artistic and cultural events such as the United Jewish Appeal Walk with Israel, Toronto Jewish Film Festival and Jewish Music Week occur in May. Holocaust Remembrance Day (Yom HaShoah) and Israeli Independence Day (Yom Ha’atzmaut) also frequently occur in May. In 2006, President George W. Bush proclaimed May as Jewish American Heritage Month in the United States. The Bill will come up for debate early in 2012.